Hello again, for the second time in a week! I hope you guys can keep up with me, because I've got a lot of content to keep coming. In this episode of Let's Be Friends!, we'll look at Dark Angles. You know, those guys who keep popping up in our articles but usually get a "pass on these guys" verdict? The big reason they've been getting a bad grade as allies is that this is designed as a primary detachment codex. Two separate troop swap options, and a host of rules that require a ton of in-codex models to maximize mean that these guys can bring friends, but aren't likely to be a friend. So, away we go! 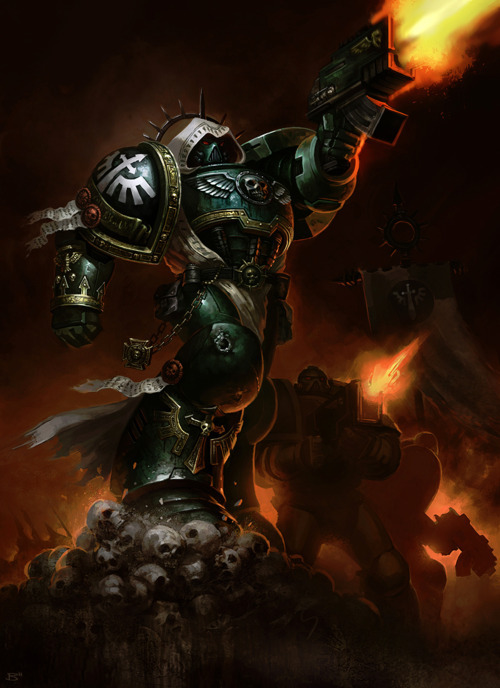 So, what do the Dark Angels look for in an ally? The first thing is cheap troops. Dark Angel tactical squads aren't exactly renown for being possessed of the greatest special rules in the game, and both of your troop swaps are really really expensive. In order to compensate for that, you need to make friends with someone who brings cheap massed models. Past that, you don't want for much. On the whole, you might lack a little bit of firepower which is capable of ignoring cover, but your assault phase is strong enough that it doesn't hold you back too badly. That in mind, let's get to it! Our first available ally is Black Templar. And generally speaking, they do have an outlet to cheap mass infantry. Crusader squads can put a guy in power armor and a scout on the table for less than the cost of a bike. That's pretty awesome. Not only that, but they can help you out by bringing Sternguard or Centurions. Add to that the modeling opportunities, and the potential to Raider rush, courtesy of access to dedicated crusaders, and you've got some real potential. It may not be top tier, but it's certainly worth considering. Next comes the other Angels codex, Blood Angels. Unfortunately, these guys don't necessarily make for the best allies at the moment, owing in no small part to the age of the codex. This codex is now feeling a similar pinch to Black Templar and Grey Knights, low model count and fairly high mandatory taxes for some toys makes life challenging for these guys. That said, some assault marine troops do pair nicely with bikes, helping to set you up for a whole mess of turn two assaults. It might take some finessing, but there's certainly some opportunity to "get the band back together" and make the Angels of Death work, but it's not easy by any means. Moving right along, we find the Eldar. If you've ever wanted to play an army of bikes and even faster bikes, these make a slick pair. Cheaper bikes help even out your point costs, and the chance at rending helps keep your AP 2 theme going strong. Otherwise, there's access to wraith troops in wave serpents or fire dragons to help remedy some of your potential anti-tank ailments. Allying with the elves causes you to miss out on what their codex does best in terms of psychic aid, but they aren't awful. 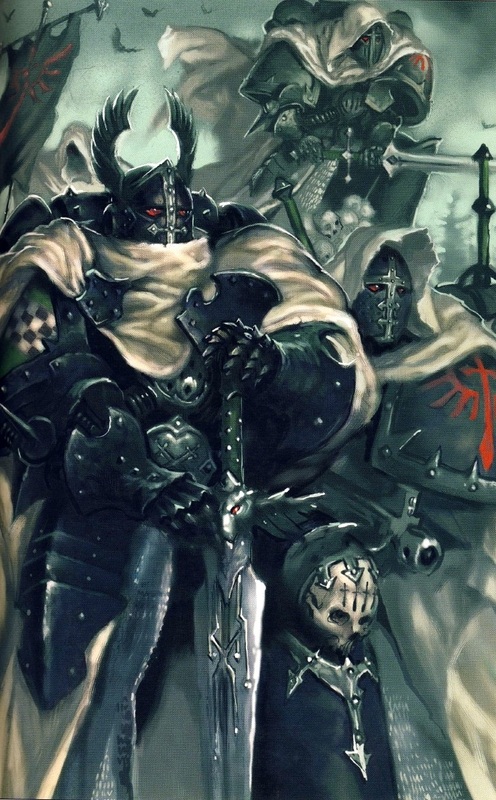 And then there's Grey Knights. Ugh. Though they can cure what ails you if you need to answer Daemons, cheap dudes they will not provide unless you bring Coteaz. At which point, they're just a poor substitute for Guard. These guys should also be avoided for fluff reasons. No, we're not keeping secrets. Speaking of Guard, those guys make awesome allies. You can share divination and a power field with a great big blob, and use that to offset the cost of your mega expensive troop swaps. Not only that, but they help shore up your native lack of significant flyer support. The only thing these guys won't do is move forward with your bikes and terminators. This can sometimes spell trouble for your target saturation, but over all, it shouldn't be too much of an issue. From there, we find the Sisters of Battle. In theory, they offer your army a lot. Fluff says you like a lot of plasma, and they like melta and flamer. The holy trinity of Imperial wargear. That's pretty cool. You know what's not cool? Metal models and paying over $100 for a squad. So. Forego the melta and flamers and just bring power fists. It'll all work out, forbidding any massive changes to sisters forthcoming this week. Winding down into the last three, we come to the big blue book. 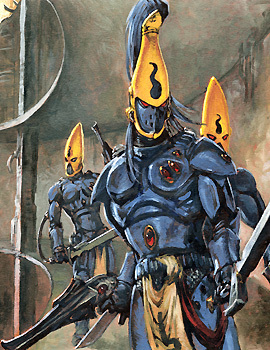 Honestly, now that these guys and Templar play out of the same book, the host of other tactics don't really offer you anything that Templar won't. The exception to this being White Scars with Belial in your primary. This isn't to say that Ravenwing are strictly inferior to the Scars, but rather that the functional swap exists. Past that, Salamanders will offer you the same thing Sisters would, or there's access to grav weapons, especially on Centurions. Short of those options being specifically tantalizing, there's not much to gain here, especially not in terms of cheap dudes. Our next to last available ally comes through our long time rival, the Space Wolves. Interestingly enough, they offer one of the stronger compliments on this list. Grey hunters are still great point for point, and TWC keep up with your bikes and terminators for some turn 2 assault action. Sure, you can't join each other's squads or cast powers on one another, but all of that is fairly negligible considering the raw power of what this pair has to offer. If you can stomach having the fun with the fluff enough to run them in parallel, there's awesome potential. The final option is Tau. Certainly, our fishy friends offer some definite power in terms of bringing a riptide and leaving fire warriors to hold down the fort. But generally speaking, I find myself wondering why I should ever bring these guys when the synergy with IG is so much stronger. You don't always find two books where the difference between being convenient or brothers is this big but wow. Again, a librarian with a blob is huge, and the forward russ support is just so much more impressive than that riptide, especially with your large volume of plasma. 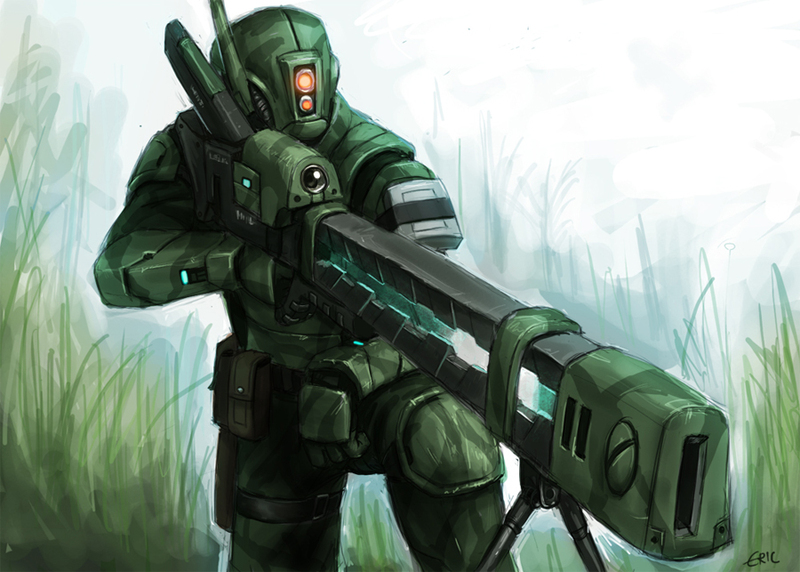 I won't tell you not to bring Tau, but they're a bit suboptimal for our guys in green. And there we have it! Though the ultimate combo may be with Imperial Guard, it's far from the be all end all for friends for Dark Angels. There's valuable allies to be found in most all of their options, though not all of them offer the cheap troops you so desperately seek. Past that, feel free to explore and find out what works best for your particular style and local meta. Labels: Allies, Dark Angels, Let's be Friends! I've yet to run allies in any of my 40k armies but I've wanted to test out dark angels w/ guard. Run 2 vendettas with a CCS in one, vetereans in other, and maybe shove in a blob down below. The book doesn't necessarily lack it but my DA models lack anti tank and anti flyer quite a bit. Anti tank is an easy fix for DA, and I generally find that marines can ignore flyers pretty well, forbidding the dreaded helturkey showing up. That said, the allies you mentioned do seem potent.